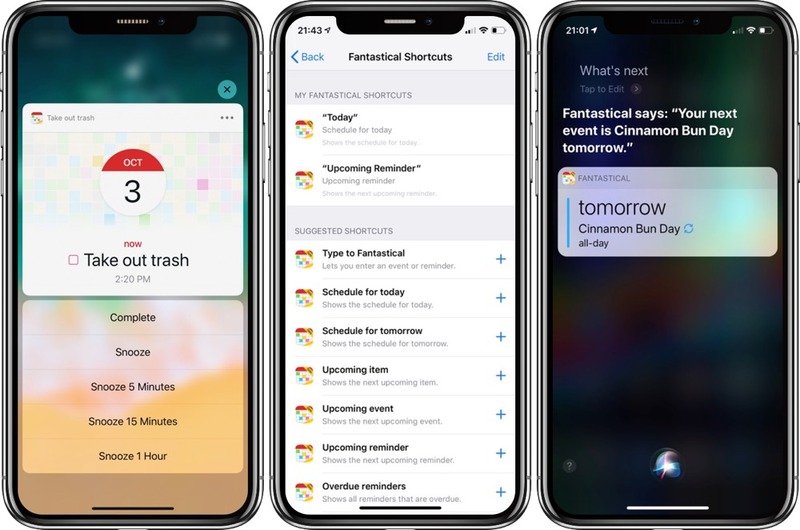 Fantastical 2’s Siri Shortcuts support is managed through iOS 12’s settings menu — tapping on Siri & Shortcuts in Fantastical takes you out of the app and into settings, where you can see all of Fantastical’s suggested shortcuts. Siri Shortcuts inside Fantastical are fairly standard at this point. Actions like “Type to Fantastical,” “Schedule for today,” and “Schedule for tomorrow” are sure to be the most popular, as these allow you to quickly type out and create an event in Fantastical and see your upcoming schedule for today or tomorrow, respectively. These actions are also available inside the new Shortcuts app, so power users with custom workflows will relish the opportunity to utilize Fantastical’s state-of-the-art event parser in powerful workflows. Just yesterday, we got a peek at how Federico Viticci has adopted some of Fantastical’s Shortcuts support. 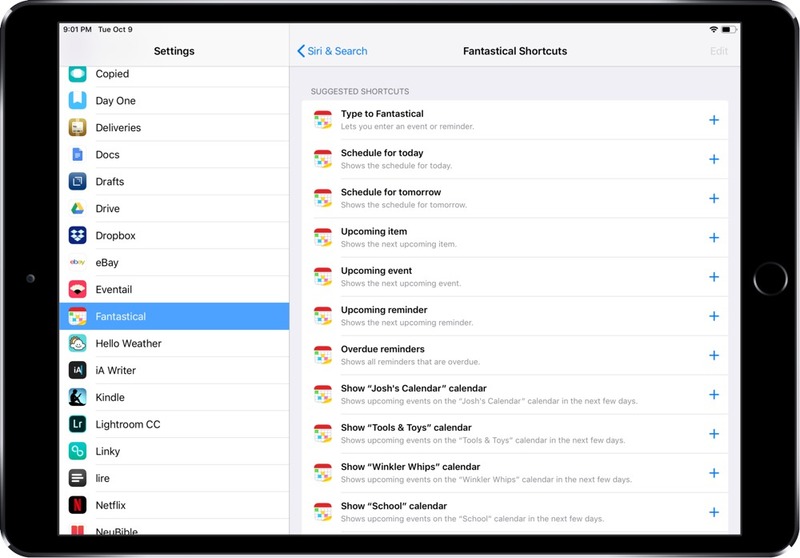 We recommend heading over to MacStories to gain an understanding of the power of Fantastical’s Shortcuts support. Earlier this week, I wrote about using Better Day as a superior complication to Apple’s own stock calendar complication on the Apple Watch. Better Day can be customized however you see fit. The sub dial top complication showcases the date in written form. The bottom/top dial complications showcase the date in shorter formats. The Infograph Modular complication showcases the date in a big bold written and can showcase your day’s upcoming schedule. 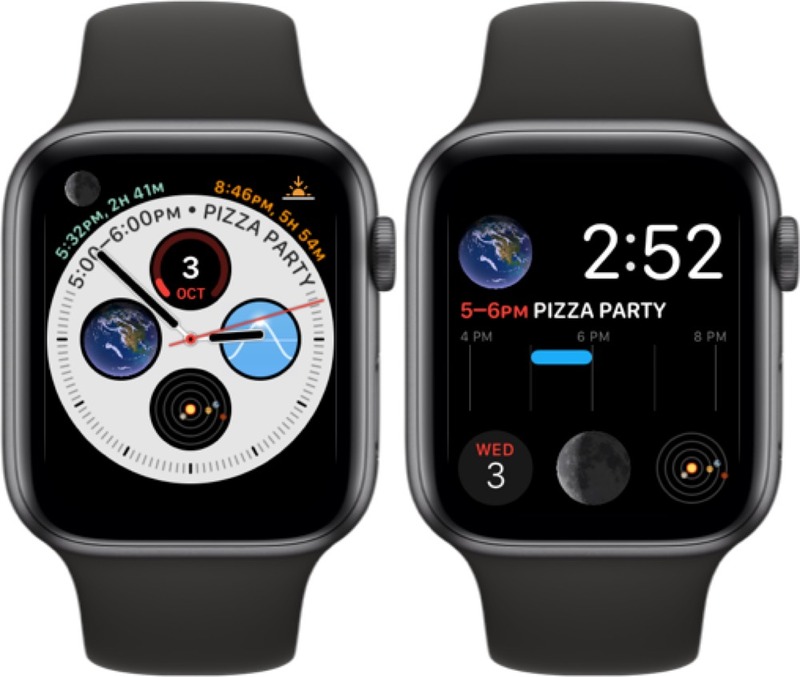 Flexibits has also debuted support for the Watch’s Siri face, which utilizes Siri to predict what types of information you’ll want to view. 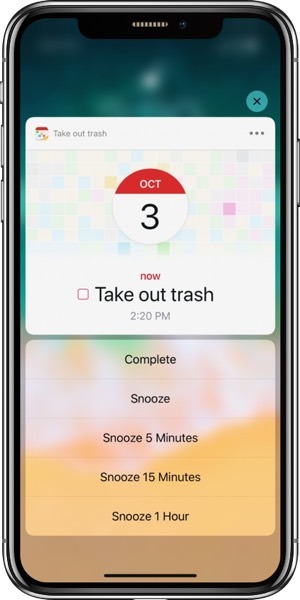 Flexibits has taken advantage of iOS 12’s new notification systems and Fantastical now provides new ways to manage and snooze events and reminders right from the lock screen. Now, when a notification comes in, you can hard 3D Touch the notification and choose to complete or snooze items for later on. Fantastical 2 continues to be our pick for the best calendar app for iPhone and iPad. 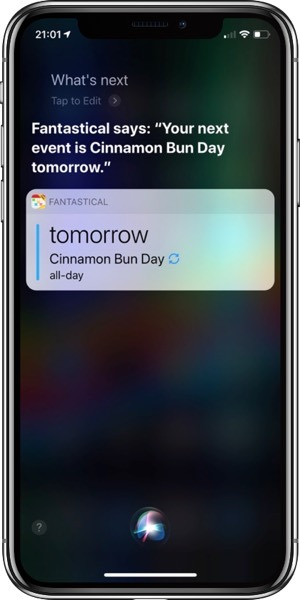 Fantastical’s natural language parser makes creating events super simple, while it’s ever-evolving feature set and increasingly handy Watch app keep raising the bar for competing calendar apps to overcome. You can grab Fantastical 2 for iPhone for $2.99 on the App Store, while the iPad version comes in at $4.99.